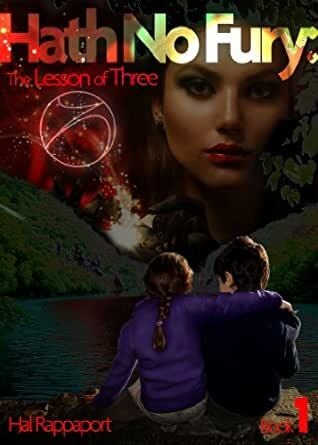 Hath No Fury (The Lesson of Three Book 1) - Kindle edition by Hal Rappaport. Paranormal Romance Kindle eBooks @ Amazon.com. Learn about real witchcraft and voodoo through the eyes of Mark and Amy as they grow up with it…and learn to use it! 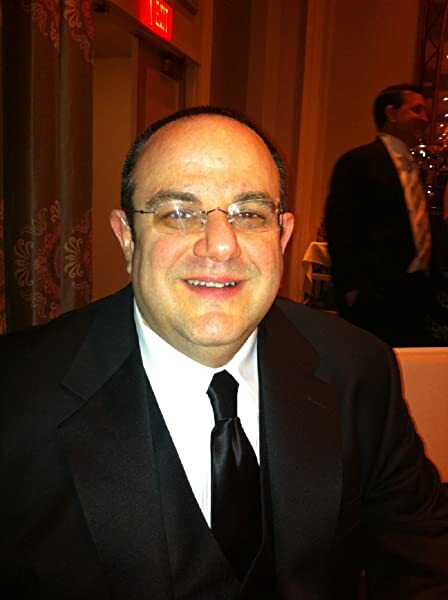 Hal currently lives in New Jersey, in a small town just north of Princeton with his wife and two daughters. He grew up in Philadelphia and has been writing stories since he was about 11 or 12. He loves the idea of being able to transport someone to another place, or to create a new world. Hal has always been into technology, working in the field for almost 25 years. He wrote for the Syfy Channel's technology site, DVICE and several articles were picked up by NBC (NBC Universal owns the Syfy Channel). He was interviewed by SETI for their radio program. He wrote regular articles that are science fiction inspired, but about REAL technology. It's been his passion to incorporate something real from fiction. In the case of Hath No Fury, it incorporates something real INTO the fiction. Before any of the Syfy channel writing, way back in the early days before Facebook and before blogs, he created a web site for Horror themes called, Frightscape. It's still in existence in it's very primitive form. "Anyway, I decided to write an article for my own site about one of the scariest places I had ever been. It was a haunted attraction that had existed in the 1970's and 80's. It was called, Brigantine Castle. It was gigantic. It was five stories tall with over 80 live actors. Through the early search facilities of the web, I found a few of the original cast and got them together using a yahoo group (They still use it). It gave me a unique opportunity to interview them and to write some great stuff about the place, with a lot of their pictures and even some sound recordings. The editor of Haunted Attractions magazine read my web site and asked me to write one for him. It was my first professional writing. I've written a few more articles for Haunted Attractions Magazine since then, along with a few other industry publications." I have stopped writing "book report" book reviews. The synopsis on the Amazon page can tell you what you need to know about the nature of the book. What I like to share are the things that make a book a really enjoyable one, and Hath No Fury certainly was that. This book surprised me. It's not my normal genre, but I love a good voodoo read now and then. I saw the trailer and was intrigued, so I ordered it. It turned out to be so much more than just voodoo, however. The author conceived a unique tale, and used his obviously well-rounded knowledge of Wicca, demonism and Voodoo to weave the tale. Though some of the writing is a bit stilted in the beginning, the characters and the plot pull you in, then the author hits his stride big time and keeps you turning the pages. I saw it was 400+ pages and thought I would give myself a week to finish it. I finished it in two days, despite being otherwise busy, because I was so engrossed in the story that I picked it up every time I had a few minutes. The author's writing of his characters is masterful. The good are good, the evil are evil, yet none are overwrought. This is important for the development of the story, because every action rings true. A very satisfying read, and I hope the author is working on a sequel. 5.0 out of 5 starsA real page turner that will keep you up all night! First, because I am a lawyer and retired judge, I must make a disclaimer. I have known the author since he was a young boy and watched him grow into a talented IT guy and now an author. That said, my experience as a judge gives me the skills to write an unbiased review. I adore books about "magick." This is a page turner that will keep you up all night if you let it. The plot revolves around three main characters and tracks them through their youth through college. Mark is the young orphan being raised by his grandmother who practices the Wicca. Amy is the daughter of a woman who is afraid of damnation, and wants her daughter to live the life that she, not Amy wants. Sam is the physical manifestation of a Daemon who is jealous of the relationship between Mark and Amy (best friends forever) and who knows before Amy does that she is a powerful witch and wants her power for himself. You will follow the twists and turns of the plot as both Mark and Amy's lives are turned upside down as a result of the death of Mark's grandmother (to say more would just give away the joy of reading this wonderful book). Each twist leaves you longing to read more, and fearful for Mark and Amy. Of course there were the usual typos and grammatical errors found in most books on Kindle. However, I carefully bookmarked all the errors and forwarded them to the author so they should have already been cleaned up. Mr. Rappaport carefully researched his material, thus the book gives you a great deal of information on Wicca. If you truly love such novels, this is a must read! Well written and believable characters... draws you in. Provides a very human, personal and approachable level introduction to spiritual Wicca, and to the occult -- perfectly woven in throughout the evolving storyline. And the storyline: Loved it. Two children, their friendship, coming of age, and the demonic threats that face them both separately and together. A well-crafted plot! "Hath No Fury" - five well deserved stars! I eagerly await the sequel. A friend of mine recommended that I read this book. Having no interest in Paranormal and it was in paperback, I was hesitant. I couldn't put this book down. It was written so well and it seemed that I was finished the book in no time. Even though it was in paperback (I prefer hard back books), the fonts that were used made it easier to read and they words were not pushed together. The fiction and paranormal subjects were a perfect blend. I am looking forward to Mr.Rappaport's next 2 books. He grabbed my mind. 5.0 out of 5 starsWhat a joy! 4.0 out of 5 starsPromising First Book! I recently downloaded this book during an overseas trip and had to work at putting it down in order to get some sleep on the 15 hour flight. The story line really grabs you and draws you into the characters. As a new writer of novels, I think Hal has a lot of promise. I am looking forward to the sequel! "Hath No Fury" is the first non-technical book I have read in a long time. This is an excellent story with characters you come to care about. It is a believeable story about two kids who discover wonderful things about themselves and the world around them, unencumbered by the preconceptions of modern religion. It does an excellent job of telling a story and at the same time educating the reader accurately on the beliefs that many have on different forms of Magick and paranormal activity. It does not try to force you to believe or get too corny. It is grounded in solid research and you come out of the story really caring for the key characters, and wanting to know what will happen in the next book, while resolving the conflict in the current one.